Norwegian fjords have an undisputed 'wow' factor and must surely top the must-see list of most summer visitors. These winding, deep blue stretches of water with precipitous flanks are magnificent, and this week long, gently paced self drive holiday explores two of the most spectacular, and a lot more besides. 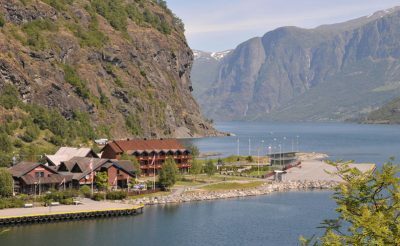 Exceptionally comfortable accommodation and the general lack of traffic, makes this fly drive holiday a dream; taking in two of the most spectacular and dramatic fjords, Hardangerfjord and Sognefjord. 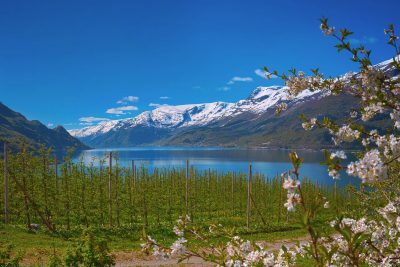 Hardanger is known as the 'orchard' because of its abundance of cherry, plum and apple orchards - visit in May for the beautiful blossoms or August for the delicious fruit - cherries from a roadside vendor never tasted so good! In Flam, a ride on the impossibly scenic Flamsbana 'corkscrew' railway is not to be missed. Choose a return journey by rail, or come back on foot or by bike as the 20km journey is pretty much all downhill! Bergen is delightful, especially its old quarter, Bryggen, with its colourful wooden buildings. 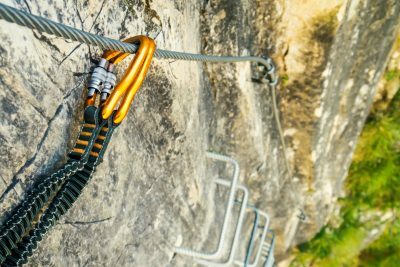 Admire the views over the city from the top of Mount Floyen. Fly to Bergen. Collect your rental vehicle from the airport and set off to the first destination. There are several options driving to Lofthus, ranging from a 2.5 hour drive and crossing the Hardanger bridge (toll to pay), taking the longer tourist route or using the fjord ferry services taking up to 3.5 hours in total. Your accommodation for the first two nights is at Hotel Ullensvang (approximate journey time 3.5 hours / distance 145 km). A day at leisure to enjoy the fantastic variety of facilities at Hotel Ullensvang. Try the indoor swimming pool or brave a dip in the fjord; play tennis; spend time in the fitness suite; go kayaking; hiking or rent a bicycle and explore. The hotel has incredible vistas across the water to Folgefonna glacier and the view of the towering mountains behind the hotel is equally impressive. Perhaps explore Lofthus - the interesting older part has narrow lanes, traditional timber buildings and the old stone church which dates from 1250. Depart Lofthus and trace the coastline north. Continue through Brimnes to Eidfjord and perhaps visit the Nature Centre where you can learn about the area's nature and geology. Turn back and take the Hardangerbridge across the fjord, then travelling north to Voss with its attractive lakeside setting. The striking church is well worth a visit with the interior as unusual as its exterior. From Lake Vangsvatnet continue to Flam. Flanked by orchards and meadows, Flam sits on the edge of Aurlandfjord, a narrow offshoot of Sognefjord. Flam is the terminus for the Flamsbana - the famous 'corkscrew railway' said to be one of the steepest and most scenic rail journeys in the world - alas a trip from start to finish takes just an hour, but it is highly recommended! The 29km branch line, dating from the 1920's, climbs 900m through twists, turns and tunnels including a couple of 180° bends, hugging sheer mountainsides, travelling over breathtaking drops, past elegant waterfalls and other incredible features to the junction at Myrdal. Overnight stay at the Flamsbrygga Hotel, a striking red-timbered property (approximate journey time 2 hours / distance 122km). If not experiencing the railway today, set off from the Flamsbrygga and drive through beautiful countryside to Vangsnes, where a 12m hilltop statue of a legendary Viking chief looks down over the jetty. From here take the ferry across to Dragsvik (payable locally), drive to Balestrand on the shores of Sognefjord, a delightful area that has been attracting visitors for over a century. Check in at Hotel Kviknes, home for the next two nights (approximate journey time 2.5 hours / distance 118km). 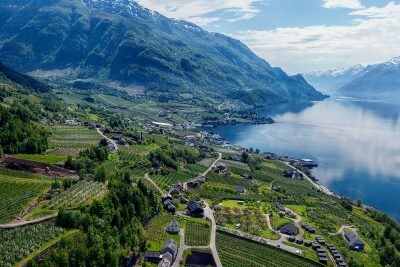 A day at leisure to explore Balestrand on foot or by bicycle, make use of the facilities at your hotel, go hiking in the mountains, take a boat trip or perhaps rent fishing equipment or a rowing boat and head down to the water. Drive west along the fjord, still admiring the scenery, to Lavik and take the ferry across to Oppedal (payable locally), ready for the leisurely drive south back to Bergen (approximate journey time 4 hours / distance 215 km). Return the rental car to the city office before spending the last two nights in Bergen at Clarion Hotel Admiral or similar. The day to explore this wonderful city - take the Floibanen up to Mount Floyen for amazing views over the city - the funicular railway transports passengers from the city centre to a height of 320m in just eight minutes; visit the waterfront fish market, which actually sells all kinds of produce and handicrafts; wander around the old wooden houses on the famous Bryggen or perhaps relax in a cafe after some shopping time. If travelling home later today, you’ll still have time for a little shopping or sightseeing before heading to the airport and your flight home, depending on your chosen route. You’ll be spoilt for choice when it comes to things to pass the time in Bergen so why not consider extending your stay for another night or two? Perched at the end of Aurlandsfjort, this hotel is situated in a striking, red-timbered property overlooking a thriving harbour. 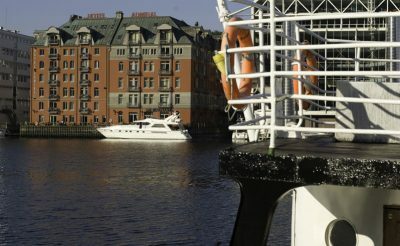 The recently renovated Clarion Hotel Admiral is located on the Bergen harbour offering picturesque views of the Bryggen, old wharf and Floyen Mountain from many of its rooms. 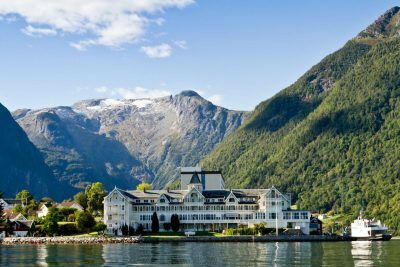 On the shores of the beautiful Sognefjord, Hotel Kviknes sits on an enviable position in one of Norway's most scenic areas. 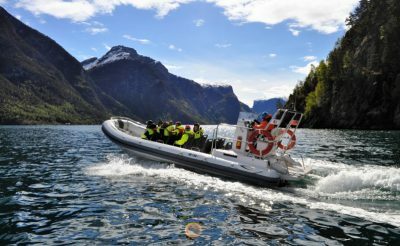 This RIB boat adventure starts from the quay at Balestrand harbour and sets off for the mighty Kvinafossen, a waterfall with 120 metres drop. 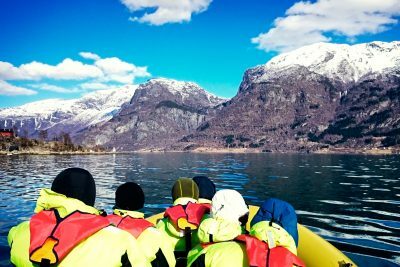 With this trip you will cover the whole of the Naeroyfjord - which is a world heritage area - heading towards Gudvangen which will be your turning point at the end of the fjord. 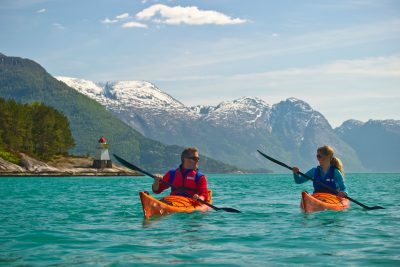 Join a wonderful guided kayak trip on the fjord amidst the magnificent landscape. 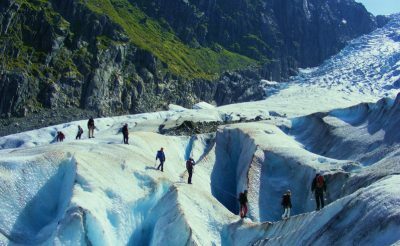 Take an unforgettable trip to one of Norway's largest glaciers, Buer, walking on blue ice. In 1906 the construction of the Tysso 1 power station begun - the mountain water was dammed, the waterfalls and water were then all transferred into pipes and so begun the groundwork for the waterpower production and industrial centre of Odda was created. Our inclusive break to Swedish Lapland takes you to the Lulea Archipelago in the Bay of Bothnia, where you are never far away from nature staying in a delightful setting next to the sea.